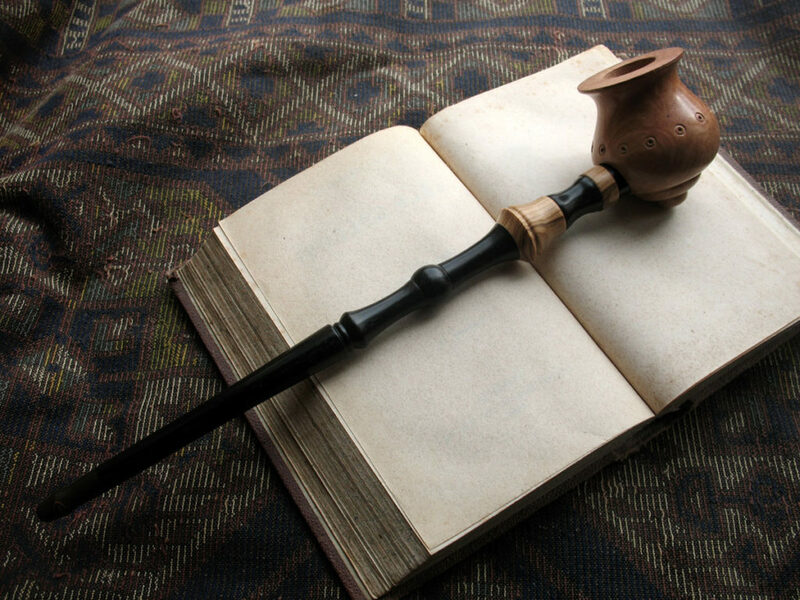 The Oriental Pipe is a model inspired by the oriental stylistic canons. 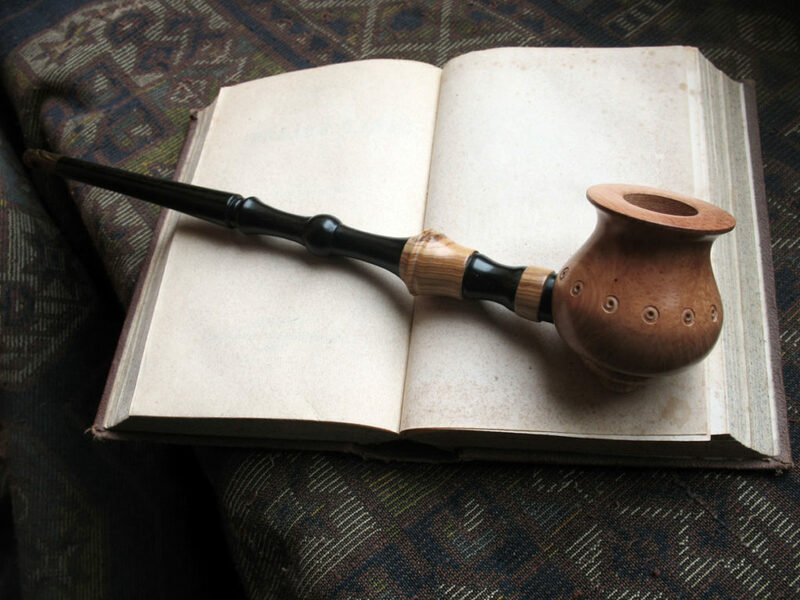 The refined ebony stem ebony required a very delicate workmanship, and is embellished with Apulian olive rings, while the amphora-style bowl is made of precious Tuscan briar. 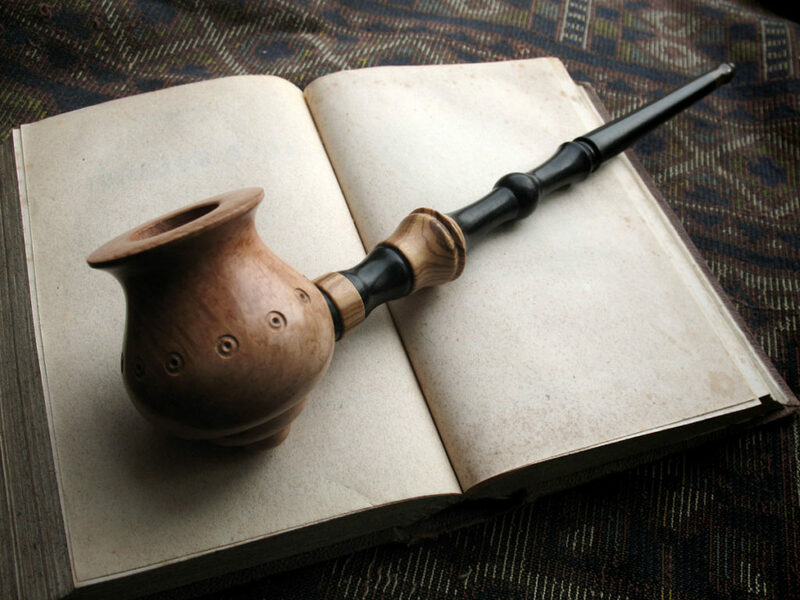 The pipe is not treated with any dyeing and allows you to fully enjoy the magnificent natural color of the woods.